Drivers’ eyesight should be tested more regularly, according to GEM Motoring Assist. 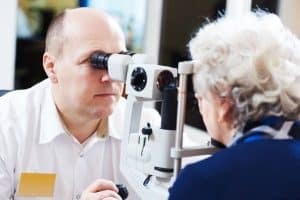 Better regulation of motorists’ eyesight tests would result in a more robust system and make Britain’s roads safer with a reduced number of collisions, the road safety organisation has argued. The group believes that a driver’s visual acuity and field of view should be tested every 10 years. GEM road safety officer Neil Worth highlighted the fact that drivers failing to look properly is responsible for considerably more crashes on UK roads than speeding, drink/drug driving, and driving without a licence combined. Currently, the only eyesight test drivers are required to undertake until they reach the age of 70 is during the original driving test, an approach which Mr Worth slammed as “crude and outdated”. GEM believes that regular mandatory eyesight tests for drivers every two years would offer a simple and effective way of reducing collisions caused by defective vision. Mr Worth believes this approach would ensure there are no safety concerns surrounding driver vision and deal with any issues at an early stage. “The current driver eyesight test has not been fit for purpose for a long time, and we believe it is simply no longer acceptable for drivers to self-certify,” he added. Molly Benton, brand manager at Fuel Card Services, commented: “More motorists are driving well into their 80s and beyond. Mix this with an increasing number of cars on the road and more in-cabin distractions and road safety is sure to be compromised."